Vaping is touted as being a much healthier alternative to smoking cigarettes. Unfortunately, many people find that they cough a lot more when they’re vaping than they ever did when smoking. One of the reasons for this is that the vape juice isn’t as adulterated as cigarettes. Cigarettes contain a number of compounds that prevent the users from coughing so the act of smoking appears less harmless than it actually is. The other reason is the technique. There are some techniques that vapers can adopt that will help to minimize the amount of coughing that they experience when they are using their vapes. The amount of nicotine that you have in your e-juice is going to have a huge impact on the way that it feels. Juices that use high amounts of nicotine are going to feel a lot rougher on the throat, so the first thing that you can do if you’re experiencing discomfort and coughing a lot is to reduce the amount of nicotine that you’re vaping. This is problematic, however, for people who switch to vaping from smoking because the throat hit is often seen as the most important aspect of vaping. Try to find a strength you can enjoy without feeling uncomfortable. Many people love to crank up the wattage of their vape so they can get huge hits. However, doing this also means that your vapour is going to be providing you with a lot more nicotine and that the vapor is going to be much hotter. 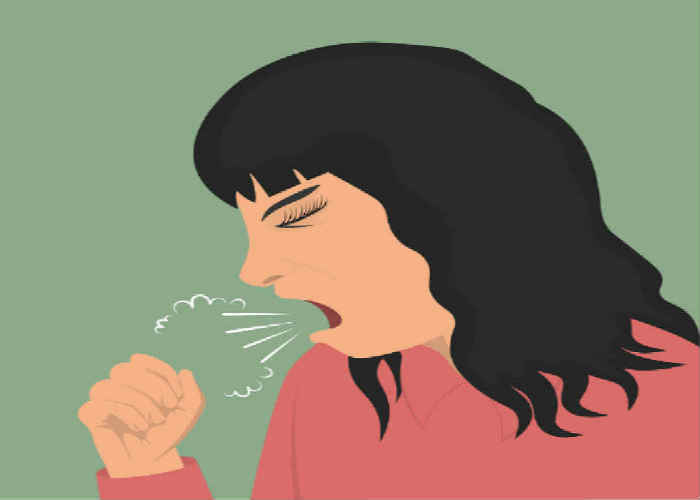 Both of these factors can contribute to coughing. One of the biggest factors contributing to coughing is the amount of propylene glycol, or PG that’s found in vape juices. Some vape juices contain much more PG than others, and many people have reported being sensitive to vape juices with higher levels of PG. This can make a person more likely to cough. Try to avoid vape juices with more than 60% PG. Another thing that can easily contribute to excessive coughing is airflow. If your airflow is set too high then you’ll draw a ton of vapor through and this can overload your lungs and throat with nicotine, leading to vaporizing. If your vaporizer has an airflow setting, then you can try lowering it – otherwise, you might have to switch vapes. There are different ways to inhale depending on your settings and your tank. Many ex-smokers tend to first inhale smoke into their mouth and then into their lungs. Straight vapers often prefer to inhale directly into their lungs. With a higher resistance and a lower temperature, a straight inhale will probably lead to coughing. If you’re inhaling straight to the lungs you should use a higher wattage, lower resistance unit. If you’ve just quit smoking, then you need to give your lungs time to heal before you start aggressively inhaling other nicotine vapors. If you’ve recently quit smoking then there’s a chance that your lungs may just be recovering from cigarette smoke and that the cough is a result of that, not because of your vaporizer. Regardless, lower your settings, vape infrequently, and try to manage your cough as best you can while you are healing. This will help you immensely in the long-run. What are Voltage, Watts and Ohms? A Vaper’s Guide. Does vaping set off smoke-detectors in a hotel room? What is Vape Tongue and What Can you Do About It?